When a mysterious disaster turns America into a war zone, a young lawyer heads west with his future father-in-law to find his pregnant fiancee. 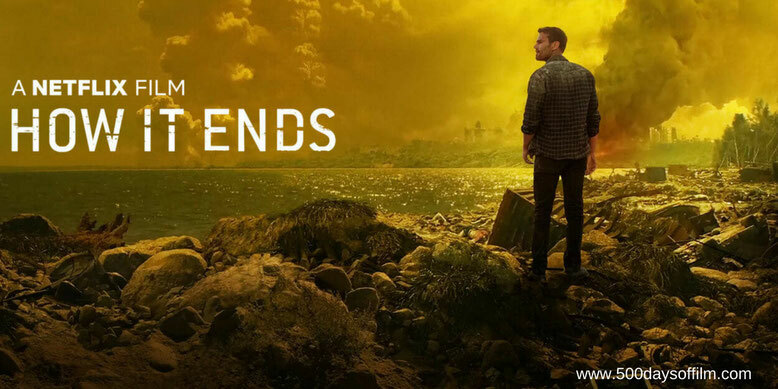 How It Ends has most of the ingredients necessary for a compelling disaster movie / road trip thriller. David M. Rosenthal’s film has a strong cast, an intriguing premise and some impressive action set pieces. However, this Netflix Original movie has its measurements all wrong. There is too much road trip and not enough character development, too much Theo James and not enough Kat Graham, too much mystery and not nearly enough apocalypse. Theo James and Forest Whitaker give competent performances as Will Younger and Tom Sutherland - the fiancee and father of stranded in Seattle, Samantha Sutherland (Graham). Something bad has happened (we are not sure what) and the pair have to drive west to find / rescue her. Will and Tom do not get on, of course. Want to bet what happens next? Odds are you’ve guessed it and that is the problem with How It Ends. This story is predictable, unconvincing and oh so contrived. Despite the potential inherent in the plot, the vast majority of the film’s (lengthy) running time is spent watching Will and Tom drive along largely empty stretches of road. Yes the cinematography is stunning, but it soon becomes tedious. We don’t know what lies behind the catastrophic event that has wiped out all means of communication (geographic disaster, alien attack, nuclear war?) or the reason for the implosion of society… and we don’t really care. Things do pick up in the final act. However, if you call your movie How It Ends you darn well better land your conclusion. Unfortunately, Rosenthal fails to bring his story to a satisfying close. Sadly, How It Ends is not a road trip worth taking. Have you seen How It Ends?